Despite their somewhat notorious reputations, Pit Bulls are lovable creatures that enjoy chewing on a toy just like any other dog. Toys are great for dogs of any age. They'll keep your pup occupied and give them some much-needed mental stimulation as an adult. Not only that but having a constant supply of toys on hand can keep unwanted behavior away. While it's not uncommon for dogs to destroy their toys after playing with them for quite some time, Pit Bulls are a class all on their own. These dogs are known for being voracious chewers. They can tear through normal toys in a matter of minutes without giving it a second thought. If you own a Pit Bull, you're going to need to find a heavy-duty toy that can withstand the rigors of serious chewing. To help you on your search, here are some of the best toys for Pit Bulls that money can buy. Kong is a brand name that's synonymous with durability. This bone toy is no exception. It's made from Kong's signature rubber material. The substance is incredibly tough and can hold up well to even the most determined Pit Bull. The toy is in a shape that's familiar to your dog so they'll have no problem using it. It's also safer for their teeth since there are no small parts that could cause harm. If you want to make the toy even more rewarding, there's a small compartment to stick a treat in. It's available in two sizes. This toy from Benebone is designed to promote chewing. It has a distinct wishbone shape that makes it easier for dogs to pick up. The toy is made from a tough nylon material. While it's not edible, the toy does contain real flavor. The material is fused with real food ingredients. Your dog will be able to taste and smell the ingredients, causing them to chew the toy. It's available in small, medium, or large sizes. You can also choose to get a bacon, chicken, or peanut butter flavor. This chew toy has a very simple design. It measures roughly 2.1 inches in diameter and is 11.75 inches long. 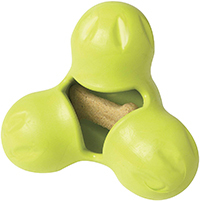 The simplistic shape is easy for your dog to pick up and throw as they see fit. It's also fairly heavy. Weighing approximately 1 and a half pounds, the toy simulates the feeling of a heavy bone. It's made of a durable rubber material that can withstand regular chewing. One of the best things about the toy is that it has a red indicator underneath the black. If you start to see red, it's time to throw the toy out so that your pup stays safe. 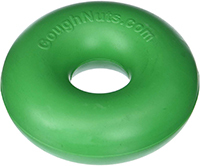 From Goughnuts is this durable chew ring. It's made from the same high-quality rubber material as the previous toy. The rubber is incredibly durable and contains no vulnerable points. This design makes it very tough against even the most voracious chewer. It also contains a red indicator underneath the top color so that you know when to get rid of it. If your dog likes to take his toys out to a pool or lake, you'll be happy to know that the chew ring floats. It's available in black, green, yellow, and orange. Made from 100% cotton, this pull toy is completely safe for Pit Bulls to use. The thin cotton strands are woven repeatedly to create a very durable rope. Because it's comprised of cotton fibers, small tears in the material won't compromise the overall structural integrity of the toy. This particular toy measures roughly 24 inches long and features three large knots. On one end is a loop for you to hold onto. 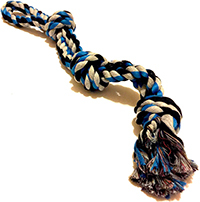 Your dog can grab onto the knots and pull with no problem. It's available in three different colors to match your pup's personality. Another great option from Goughnuts is the Tug Interactive toy. It measures roughly 11 inches long by 6 inches wide. It features two rings that are attached at a single point. You can hold one end while your dog bites onto the other. The thick rubber material is safe for your pup's teeth and will hold up well to serious play. If it gets a bit slobbery, the toy can be cleaned with a little bit of warm water. Unlike other Goughnut toys, this one doesn't have an indicator. This pull toy is great for Pit Bulls because it's tough and made from safe materials. It uses 100% cotton and doesn't contain any harmful plastics that could be dangerous if ingested. The cotton rope is tied to create three knots and two hanging pull points. Just hold onto the loop and have your dog pull on the other end. The knots will prevent your dog from sliding loose so that he or she can give you a good fight. * It's available in a single size that's suitable for pups of all sizes. 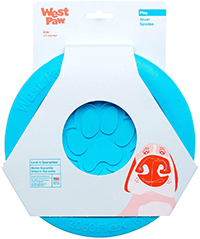 The Zogoflex Tux toy from West Paw is specifically designed for aggressive chewers. It's made from a heavy-duty rubber that holds up well. It's also FDA-compliant. It's safe to eat off of and doesn't contain any harmful BPA or phthalates. A small compartment is located in the middle of the toy. Just fill it up with your pup's favorite treats and let them have fun. When they're done, you can pop the toy in the dishwasher for cleaning. It's available in three neon colors for improved visibility. Also from West Palm is this flying disc. It's made of soft plastic that's comfortable in your hands and in your dog's mouth. Despite the soft feel, the material is surprisingly resilient. It's resistant to punctures and chewing damage. If you're looking for a toy that's a bit simpler, take a look at this option from Goughnuts. It's a fetch ball that can be used in a number of dog games. The ball measures 3 inches in diameter and is made of a strong rubber material. One of the most notable features of the ball is the distinct groove design. 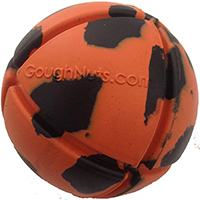 The grooves are included so that air can pass through the ball should your dog accidentally swallow it. 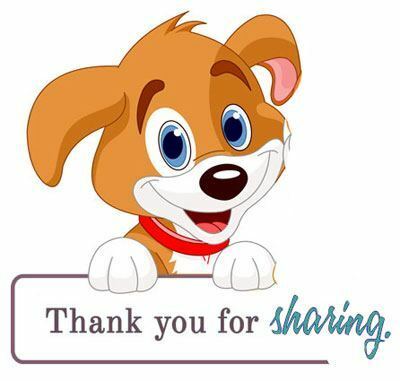 There are so many reasons why you should give your Pit Bull toys. While it may seem like an expensive endeavor given the tenacity of these pups, having access to toys can make a huge difference in how they behave. One of the biggest hurdles that Pit Bull owners have to deal with is destructive chewing. These dogs are notorious for destroying beds, furniture, and anything else they can get a hold of. They're made to chew and have the anatomical features to do a lot of damage. With a toy nearby, your dog is more likely to focus on it rather than your precious belongings. Some toys are designed to provide some mental stimulation. They usually contain a treat inside. With nothing but sight and smell to guide them, your dog will have to figure out how to get the treat out so they can eat it. While many of these toys seem simple to us, you'd be surprised by how focused some dogs get when playing with them. Over time, your dog will develop important skills. These skills will benefit them during the training process and may lead to better overall behavior. Many dogs start to get destructive when their owners are not around. They may start to feel separation anxiety or fear about being alone. To help control their feelings, they'll start to chew things around them. One of the best ways to prevent this is to give them a distraction. Give them a good toy before you leave for work and your pup won't even notice you're gone. Why Are Pit Bulls So Destructive? 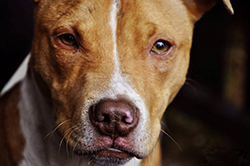 There are a lot of misconceptions about Pit Bulls out there. Many people think that they're vicious creatures that that love to bite people. Some even think that Pit Bull jaws actually become locked. 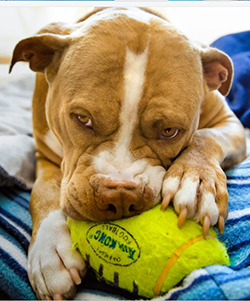 While these myths may be false, there are a lot of good reasons why Pit Bulls tear up normal toys more than other dogs. These pups are known for their large heads and wide jaws. Their jaw muscles are quite prominent. With all of that extra space and power, their chews are just naturally stronger than other dogs. Having a wider jaw also leads to some other unique features. Many Pit Bulls have noticeably larger teeth that can apply more pressure to whatever they're biting. Essentially, they're just designed to be excellent chewers. They create more leverage on toys than dogs with smaller jaws, thus tearing apart normal toys with ease. Pit Bulls, like most dogs, have a natural compulsion to chew things. It's something that comes naturally to them. This type of behavior is likely remnants of their ancestors. Before domestication, dogs chewed on bones to get their essential nutrients. Modern dogs still have this instinct to chew on things despite the lack of nutrition that comes with it. At the end of the day, Pit Bulls just have chewing personalities. They're determined dogs that will stop at nothing to accomplish their goal. If they've set out to destroy a toy, they'll work hard to do so. This trait is something that's seen in Pit Bulls all over the world. Unfortunately, it's the reason why they've been used throughout history to fight. They'll ignore any pain or discomfort to get the job done. While normal toys may hold up well for other dogs breeds, they're no match for Pit Bulls. Cheaper toys made from inferior materials can be destroyed in no time. Unfortunately, this poses a serious health and safety risk for your pup. It's not uncommon for dogs to tear their toys up into little pieces. Your dog may accidentally swallow a portion that blocks their airways and causes them to choke. Even if your dog does manage to swallow it whole, nothing good can come from ingesting a manufactured product like a toy. They'll experience stomach upsets and may even require surgery to remove it safely. To keep your precious Pit Bull safe, you need to make sure that their toys can hold up. Here are a few factors to consider. Look for a thick and durable material that can withstand the rigors of regular use. Furthermore, make sure that the material doesn't contain any toxic substances. Cheaper toys may contain harmful plastics that are dangerous when ingested. Some even have toxic paint. The material of the toy also affects its longevity. Plastic toys are easy to clean and reuse. However, fabric or rope toys tend to disintegrate over time. They may also become stained or smelly after a few days of use. Avoid toys with small or loose parts at all costs. These pose a huge choking hazard. On the flip side, you should avoid toys with large holes or gaps. Your dog may get his or her muzzle stuck trying to investigate the toy. If you're not watching them carefully, this can lead to breathing problems and eventual death. Some of the best toys will let you know when it's not safe to use anymore. They may change colors or display a message telling you to throw it away. You should always keep an eye on the quality of your dog's toys and throw them out when they become too broken. Toys with indicators make that job much easier. Finding a toy that's suitable for your Pit Bull can be tough, but it's not impossible. With a high-quality toy to keep them distracted, your pup will stay safe and happy for years to come.